Accepta 2301 is a highly efficient polymeric cationic microbiocide scientifically formulated for the control of bacteria and algae in cooling water and related cooling systems, swimming pools and spas. 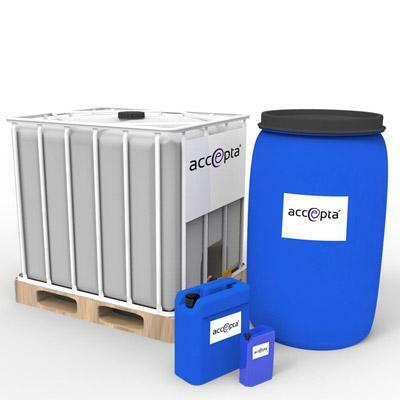 Accepta 2301 is a non-foaming micro-biocide ideally suited for use in cooling waters to control algae and aerobic and anaerobic bacteria over a wide pH range. Accepta 2301 may also be used to control microbial problems in swimming pools and spas. Excellent microbiocide suitable for the control of bacteria and algae in cooling water systems. Good performance over a wide pH range. Suitable for use in swimming pools and spas. Periodic dosage of Accepta 2301 is recommended to establish and maintain a reserve for approximately 4 hours of 20-200ppm depending on the severity of the contamination. 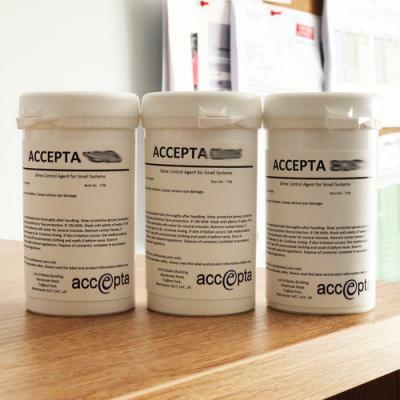 Accepta 2301 can be used alone or in combination with our other non-oxidising biocides or chlorine release agents.